This GROHE Eurodisc Cosmopolitan range bidet tap guarantees your comfort in the bathroom with a range of features. You can direct and vary the water flow with precision thanks to its ball-joint spout. GROHE SilkMove technology lets you control water flow and temperature easily and precisely. The integrated pop-up rod lets you easily open and close the waste. The GROHE QuickFix Plus system means this single-lever bidet mixer is installed in a few straightforward steps. 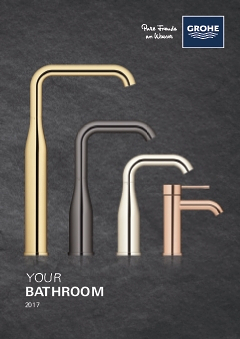 Presented in GROHE StarLight chrome finish, it will make a big visual impact in your bathroom, and will maintain its spotless sheen for years to come.